What better way to showcase your new fracking documentary than an emissions-free tour across the U.S. in an electric hotrod? Co-Directors Melissa Troutman and Josh Pribanic of Public Herald have teamed up with Tesla to test the company’s nationwide Supercharger system as they travel the nation in a Tesla Motors Model S. They’re showcasing their investigative documentary Triple Divide, which demonstrates the horrors and dangers of hydraulic fracturing (or “fracking“) in rural Pennsylvania. Triple Divide has been called “the best documentary on fracking,” “a bombshell,” and a “must see”. With quick-to-the-point interviews from the gas industry, scientific experts, and affected members of Pennsylvania living in the frackfields of shale development, Triple Divide is one-and-a-half hours of necessary environmental education. Merging artistic imagery and investigative journalism for a philosophically creative viewing experience, it shows how the people, communities, and environment of Pennsylvania have been sold out to the fossil fuel industry. Academy Award-Nominated actor and activist Mark Ruffalo co-narrates the documentary, lending his voice to the project after seeing the film a few weeks prior to its release. Ruffalo is a co-founder of the Solutions Project and runs the non-profit Water Defense, which investigates water testing and protection measures. Triple Divide got its name from the triple continental divide in Pennsylvania; one of four highly unique watersheds in North America. It’s where three major rivers begin and flow to separate ends of the continent, providing the drinking water for millions of people and hundreds of communities downstream. Screenings are planned in West Virginia, Virginia, North Carolina, Texas, New Mexico, Utah, California, Colorado, Montana, and Michigan with stops in between. 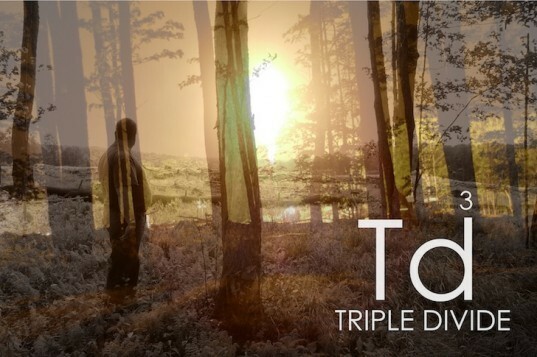 For a more detailed list of screening times and locations, visit http://tripledividefilm.org/screenings. For video clips see TripleDivideFilm.org. Also follow @PublicHerald and use the hashtag #TripleDivide on Twitter. The well off of Walnut Road, Tioga State Forest. First one visited, where we had permission to take pictures outside a fenced off, restricted area of the pad, operated by gas company, Seneca Resources. Judy Eckert standing on the porch of her home in Potter County, PA. 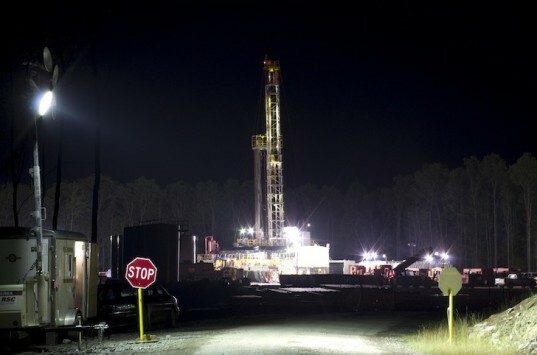 In 2007 Guardian Exploration drilled and fracked a Marcellus well 450ft away on a neighbor's property. 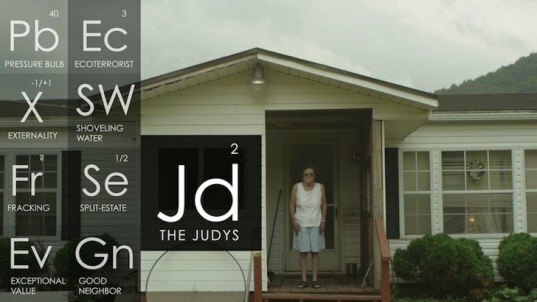 Shortly after, Judy's water became contaminated. In 2010, DEP found a waste pit buried illegally into her seasonal high water table after the company was denied an application for burying the pit. 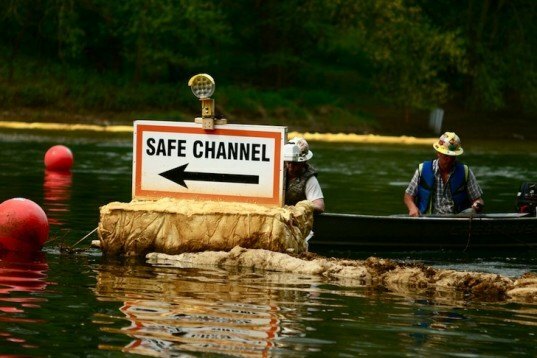 Michels Corp. workers moving an improperly placed "Safe Channel" marker on the Youghiogheny River, where Michels Corp. constructing a natural gas pipeline beneath the Youghiogheny River downstream from West Newton (PA). Large amounts of erosion and sediment runoff is being released in the river, which can be seen in the background of this photograph. We contacted DEP's office to file a complaint and find out more about the permits for this project. A Tennessee Gas pipeline installed through the Triple Divide wetlands in the summer of 2011. Natural gas wells must be burned-off or "flared" to release pressure. This shot is from the back porch of Jim Harkins, whose neighbor signed a lease with Penn Virginia Oil and Gas to drill several Marcellus Shale natural gas wells. Harkins and his wife can't sleep when the well is flared. The sound is like a jet engine and can be heard from inside the house.